Whether you want to improve your travel vlog or just capture everyday moments in a different way, 360-degree cameras serve as a useful tool. Although viewing such videos is best when using a VR headset, seeing it on mediums like YouTube isn’t all that bad either. If you’re looking for such a camera to help you out, the Kodak PIXPRO Orbit360 4K VR camera is here for your consideration. Although it features a futuristic camera body, the Kodak PIXPRO Orbit360 aims to tackle 360-degree filmmaking in a minimalist manner. 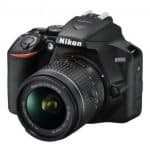 It combines three cameras and two unique lenses into one compact camera. 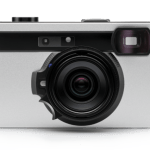 Even better, it’s a highly portable device that you can take with you just about anywhere you want to record 360-degree videos or capture 360-degree photos. Control is a major feature of the Kodak PIXPRO Orbit360 with users offered different ways to take photos and videos. You can use the WATCH Remote or the TINY Remote to either stop or start recording. Recording can also be done through the camera itself. And lastly, you can use a smart device or PC to record as long as there is WiFi. The Kodak PIXPRO Orbit360 features three cameras in one body, each offering a different angle of view: 360-degree Spherical VR Mode, 4K Full Frame Mode, and a 235-degree Spherical Mode – all of these can be used when shooting in Movie, High Speed Movie, Photo, and Burst modes. The 360-degree Spherical View uses two integrated curved lenses, one 155 degrees the other 235 degrees. The 4K Full Frame View (Front Mode) uses a 197-degree Super Wide Angle Lens while the Hemisphere View (Round Mode) uses a 235-degree lens. As mentioned, there are two modes each for capturing photos and videos. Movies can be filmed using either the Movie or High Speed Movie modes while photos can be taken with Photo and Burst modes. Since a 360-degree camera is best used outdoors, it comes as no surprise that the Kodak PIXPRO Orbit360 is dustproof, freezeproof, shockproof, and splashproof. Sharing has also been made easier with the Kodak PIXPRO Orbit360. You just need to download the complimentary PIXPRO Remote Viewer App (available for iOS and Android devices) to upload photos and videos to your favorite social media sites. A complimentary PIXPRO 360 VR Suite is also available for download which provides you with software and utilities when using the Orbit360 4K on your computer. The program is compatible with Mac OS (version 10.9 and higher) and Windows (version 7 and higher). The suite offers the following: photo and video editing capabilities, a VR stitching function, live view through WiFi, and camera control and recording. The Orbit360 4K also supports microSD cards up to 128GB but should be Class 10 or higher. 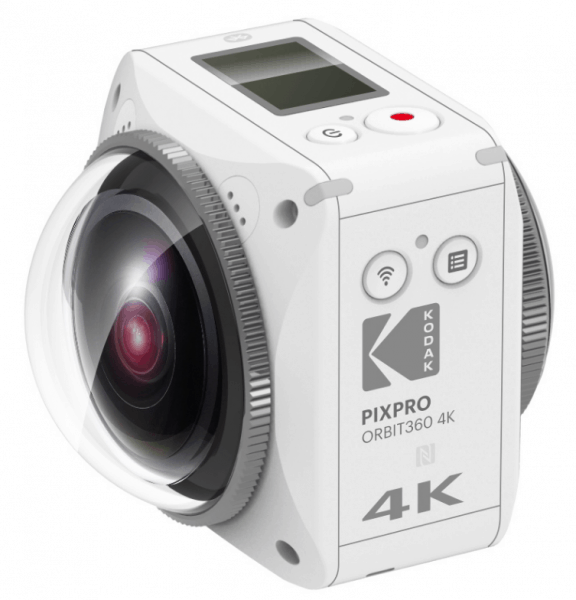 A successor to the PIXPRO SP360 4K, the Orbit360 4K improves on the model that came before it in many ways. 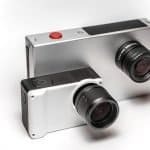 For instance, it now houses the cameras inside the body unlike the previous model which required the purchase of two separate cameras to capture 360-degree photos and videos. 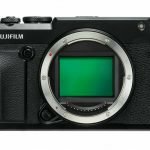 The camera’s resolution has also been bumped up from 12MP to 20MP. Although the Orbit360 4K features more than one camera, you can opt to use just one. With that camera, you can shoot videos with a 3,840 x 2,160 resolution at 30fps. Slow-motion capture is also supported at a 1,440 x 720 resolution at 120fps. The two sensors in the camera let you shoot 3,840 x 1,920 videos at 24p. It makes creating 360-degree videos simpler. The Orbit360 4K is an improvement over its predecessor by grouping together multiple cameras into one body. It offers different ways to control the camera. You can use a remote control powered by Bluetooth for recording or you can use the record button on the camera itself. Lastly, you can control the camera using your smartphone or PC with the help of WiFi. It offers protection against the elements. The Orbit360 4K will most likely be taken outdoors to film the scenery. As such, it is waterproof, dustproof, freezeproof, and splashproof. Shooting at a 360-degree angle definitely lends more edge to videos, particularly if you’re going to publish it on a travel blog. A 360-degree video or photo also works if you just want to show family and friends just how great a particular place is. The Kodak PIXPRO Orbit360 4K VR camera may be a little steep in price but it is a good camera for shooting 360-degree photos and videos.